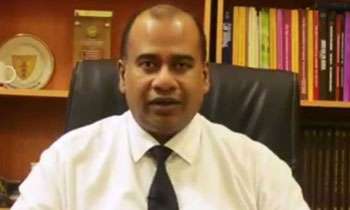 During the submissions made by Additional Solicitor General Yasantha Kodagoda over the revision bail application filed by Arjun Aloysius and Kasun Palisena, it was revealed that the Attorney General had so far filed five civil cases in the District Court on behalf of five state institutes against Perpetual Treasuries Ltd (PTL). These civil cases were on behalf of Employees Provident Fund, Employees Trust Fund, National Savings Bank, Insurance Corporation of Sri Lanka and the Pension Fund of the University Grants Commission. AG DEPT GOING BEHIND BOND SCAM BUT THE ARE BEHAVING LIKE IDIOTS IN FRONT OF GOTABAYA CASES. This type white collar crime is relatively new to Sri Lanka Police and the Auditor General. They are still unraveling the complicated transactions. I wish them good luck, for the sake of poor Sri Lanka citizens. Appreciate the way handling this issue by AG. But never seen similar interests on the other issues related to public money misused by politicians.